Marsden batsman Chris Mann connects with the ball in the game against Whiteleas and Harton, played at Harton Welfare, South Shields. All pictures by Tim Richardson. At the crease first, Willington made 162 in total, thanks to 47 from Jamie Dass and opener Adam Khan made 24. Boldon’s bowlers put on a dominant display with the ball, with Matthew Groombridge taking an excellent 5-34, alongside Anthony Brown, who claimed 3-36. Boldon then replied with 163-5, thanks mainly to 46 runs from opener Chris Ellison. Barry McCarthy helped out along the way with a superb 39, despite a good effort with the ball from Peter Leggett (3-25). South Shields enjoyed the weekend off in the sunshine. Whitburn played out a draw at Felling as the home side continued their good form, racking up 255-9 in the Premier Division clash. Phllip Mustard scored 55 and Dale Shaw 49, while Graham Wright cracked 50 off 39 balls, which included five fours and four sixes. Chris Stewart was the pick of the bowling as he returned 4-56, from his 15 overs. Whitburn then batted and were never genuinely in the run chase. However, opener Jackson Edmondstone scored a fine 80 from 127 balls, which included 13 fours and a six, while Anthony Trotter claimed 4-34. Boldon CA produced a dominant performance when they claimed the win in their Readers Durham Cricket League Division Two away encounter at Silksworth. Boldon scored 171-9, thanks to 42 runs from Mark Cox and a fine 67 from Thomas Jubb, who hit 10 fours and a six in his innings. Mark Foster was the pick of the bowling, returning 3-41. The home side capitulated to 140 all out, with Craig Ritchie hitting a fine 59 late on, as the top six batters collapsed. Shanaz Halaldeen took 4-44 and Rajan Kumarasamy 3-23, to win the game for Boldon CA. 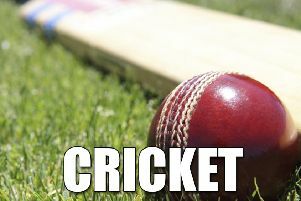 Whiteleas & Harton gave themselves a huge boost in their fight against relegation in Readers Durham Cricket League Division One, when they beat Marsden by seven wickets. The visitors made just 104 all out, thanks to Hafiz Aleem taking an excellent 5-31 and Bilawal Iqbal returned 3-41. Nathan Ullah then batted well and scored 55 runs, to ensure the points went to his side in a final total of 105-3.